A review by Stephanie Cervantes, from Barnard Crossing! 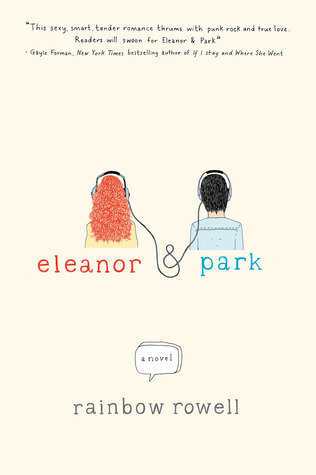 Eleanor and Park are two misfits, different in their own ways. It’s 1986, and Eleanor is new to the school. Overweight, with bright red hair, and dressed very peculiarly, she does not fit in and is constantly picked on. Park, quiet and unusual, reluctantly and slowly becomes her first friend with the sharing of comic books and music on the bus. Soon and unexpectedly, they begin to fall in love, despite Eleanor’s painful and abusive home life, which often causes her to be angry and push Park away. This is a sweet, yet dark, story of first love. What a fantastic book! I love, love, LOVED both Eleanor and Park. I loved Eleanor because she was bold and strange and misunderstood. I loved Park because he was sweet and different and compassionate. I love that he loved Eleanor, despite how screwed up she was. I love how their relationship evolved from nothing to everything. I love how intense, real, and deep their love was, and that it was not instantaneous. This story was so sweet and beautiful, but also dark and gloomy, an interesting combination providing a great balance… not sticky-sweet, but not completely overshadowed by sadness all the time either. When one element was gaining speed, the other would come and knock it down a notch. I loved that. It was sad and dark in that Eleanor is tortured at both home and school. It’s painful to see her attacked on so many levels, by so many people, and rarely see her defend herself. It’s sweet in that Park loves her despite everything, and it’s sweet to see their relationship grow and see Eleanor feel accepted for once in her life. While this book is marketed as YA, I wonder if that was really the author’s intentions. True, the book is about teens, but it has some really adult elements to it, and a lot of 80′s references that are even too old for ME, and I’m 24. That said, I think this book has a ton of crossover appeal, and that both teens (particularly older teens) and adults will both enjoy it. If you’re the kind of person who roots for the underdog, or has ever felt like a misfit, you will absolutely love this book. The first 75 pages or so were a bit slow for me, but after that, I couldn’t put it down, and read the last couple hundred pages in one night. I just really enjoyed reading about that wonderful “first love” sensation and all of the accompanying feelings. I highly recommend it! Note: Eleanor & Park was also chosen as the best Teen/Young Adult book of 2013 at Amazon.com! 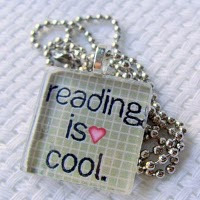 So far, I am about halfway through the book, and I agree with Steph's review 100%! Since I am a little older, I do get the 80's music references - and totally love how music and comics bring Eleanor and Park together.